attended WBC for the first time a few years ago. As I wandered about aimlessly I heard the expression "You can't put sheep there". 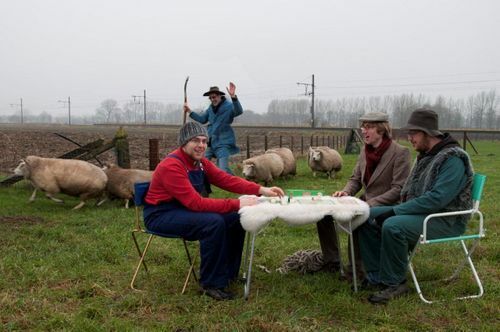 To my amazement people were actually playing a game that had sheep in it! of "You can't put armor there" or something to that effect. Recently we lost my best buddy to illness, an Olde English sheepdog named Mr. Puppy. 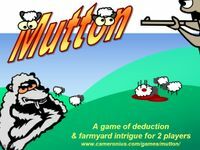 you to recommend sheep based or sheep themed games that you think he would have enjoyed. Keep in mind Mr. Puppy was a real piece of work, so the more off the wall the better. how about one for my pal. this is one even I have heard of. Something about sheep and wood? I'm sure Mr. Puppy would have put his paw of approval on this one. My wife and I love this game. 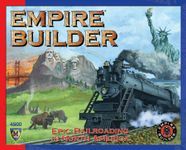 You build railroad tracks, pick up loads of commodities and deliver them to places where there is demand for them. One type of commodity is Sheep, which you can get in places like Billings and Salt Lake City. It fetches a pretty price in the Northeast. 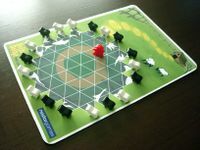 Another game in the series that has sheep is Eurorails, which is very similar but has a different map. What's not to love for Mr. Puppy? A very nice memorial, by the way. 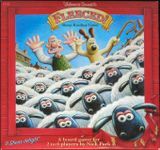 This has sheep galore AND Gromit, a dog who is a "real piece of work" with a heart of gold, just like Mr. Puppy. Cheese is also involved, which I'd wager he thought was quite tasty. In case you haven't seen it, here's a clip from the short the game is based on. Very off the wall! 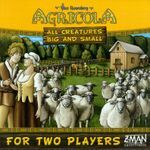 A lighter 2P game using many mechanics from Agricola but focused strictly on raising animals, I am sure this is something for Mr. Puppy! 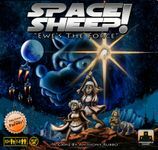 BTW A sheep based strategy is a powerful one in this game! 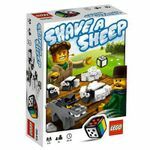 Sheep is one of the resources in this tile placement game. The card backs have florescent sheep. Sheep compound their value in cumulative flocks here. Hungry wolves get top billing in this game, but it's the sheepdogs that are the real heroes. They race around the field protecting the sheep from the hungry wolves of the title. Fantastic game and one that we all enjoy. 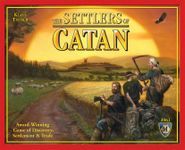 You get to bark, baaaa and run around the table howling like a wolf during the game. I'm sure Mr. puppy would have approved. 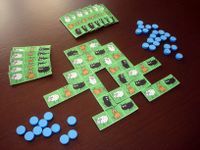 Dice game where you try to get white sheep while avoiding black sheep. 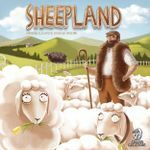 A game about herding sheep! Lettered, so he can regognize them even more easy! 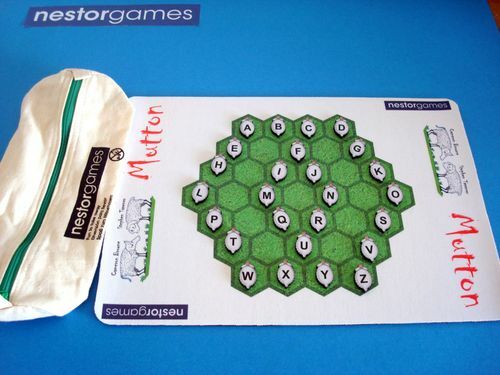 A somewhat abstract game by Wolfgang Kramer where you create herds of animals (including sheep) and try to get them to market on the pampas of South America. Very challenging but much fun! 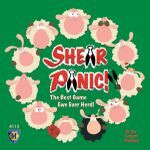 Not yet released, but it's Sheep! In Space! With really bad puns! How can you resist? Sorry about your loss, Mike. These endangered sheep could use a faithful dog like Mr. Puppy to rescue them. 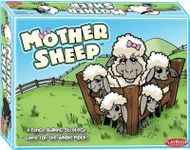 The cute artwork on the cards depicts sheep on an island with a lighthouse at various stages of a rising tide.